Closing out the fourth month of 2017’s spin around the sun here on 1WD means that it’s time for the monthly look at the wine product samples that we can’t drink (at least, not without the use of a blender, and not without probably being rushed to the hospital afterward). For April, I’ve got only one recommendation, and once again it’s a wine book (because, hey, the market needed more of those, right? ): Jennifer Simonetti-Bryan’s Rosé Wine: The Guide to Drinking Pink (Sterling Epicure, 184 pages, about $20). Full disclosure: I consider Simonetti-Bryan to be like the childhood tomboy friend that I never had, and drink rosé wines all year long (and think that you should, too); so my take on this MW’s latest written release might be a tad biased. In any case, there’s a lot to like about Rosé Wine, starting with the attractive layout and the hold-it-in-one-hand-while-drinking-a-glass-of-rosé-with-the-other design. This is a book very much geared towards beginners who love rosé, and want to take a deeper dive into it without getting the mental bends. A good portion of the book is devoted to understanding how rosé wine is made, why it’s popular, and what to expect from the various sub-styles on offer in the market (with solid recommendations in each that helpfully include label shots). Simonetti-Bryan is a bit of a self-professed geek, and it’s nice to see how deftly and entertainingly she weaves that geekiness into the sidebar elements of Rosé Wine. For example, she offers advice on the proper use of the word varietal, facts and figures on moderate alcohol consumption, tidbits on wine region trivia, and results of wine-related scientific studies, all in helpful contexts and in a decidedly non-douchebaggy writing voice. 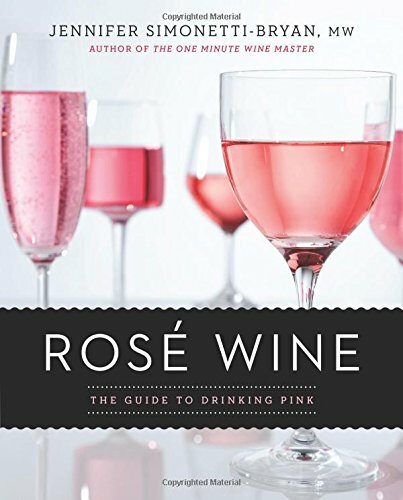 Is Simonetti-Bryan cashing in on the current market love affair with rosé with this book? 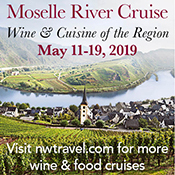 Sort of, but that’s a minor cavil to levy against Rosé Wine, particularly when you consider how helpful and entertaining it will be to the novice rosé fan (and when you consider just how little coin wine books net for their authors in general).